Blakely Interior Design is a full-service interior design firm servicing Rhode Island and other coastal communities. Awarded Best of Houzz in 2013, 2014, 2015, 2016, 2017, 2018 and 2019 (yes, that's SEVEN years in a row). Blakely Interior Design prides themselves on truly partnering with their clients to provide exceptional design and concierge-level service. Janelle Photopoulos’ passion for design, harmonious color selection, and personal integrity define the culture of Blakely Interior Design. Janelle prides herself on creating beautiful spaces that are truly livable, and ones that her clients and their families will enjoy for years to come. Her greatest joy is making other people happy – particularly seeing clients’ faces when she’s created a space that will change how they live their everyday lives. In her free time, she enjoys spending time with her husband and children, practicing yoga, a good glass of red wine, and rock climbing (or anything adventurous!). Janelle is a graduate of Syracuse University and the Rhode Island School of Design. Martha's Vineyard Interior Design is a full service interior design studio also offering custom and eco friendly furniture as well as home accessories. We offer our clients comprehensive services uniquely structured to provide a design that is a direct reflection of your lifestyle. We consider ourselves experts in space planning, color studies, stone, tile and wood selection, lighting and plumbing specification, interior finishes, and sourcing and customization of all home furnishings. The kitchen is the heart of your home. Therefore the decision to makeover, remodel, or build a new one is a vast undertaking. Cypress Design Co. will help you pull together the kitchen you just can’t wait to cook, relax, entertain and live in. There are, limitless styles and colors that can be created. You can choose from a wide spectrum of impressive styles we already have or create your own look with custom doors and finishes. We can help you achieve any atmosphere you want and provide all the functionality you need while solving any challenge your space presents. With a list of your wishes, whims, and sensibilities, we’ll help bring your ideal kitchen to life as a gathering place tailor-made to suit your family’s lifestyle perfectly. Cape Cod's Preferred Interior Design & Furniture | 2x Best of Houzz! 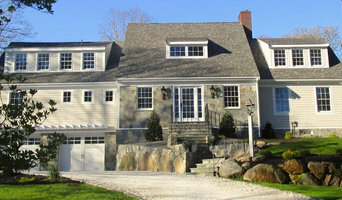 Kelly Taylor is the 2012 recipient of New England Home Magazine's "5 Under 40" Award for excellence in design. and has been named a 2016 "Woman to Watch in Creative Services" by Providence Business News. Kelly Taylor Interior Design has won multiple design awards and our work has been featured widely in the media. 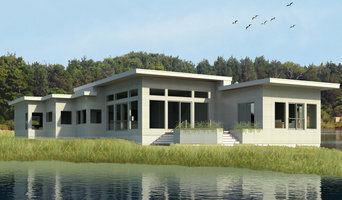 Learn more by visiting our website: www.ktid.net Kelly’s seventeen plus years of architecture and design experience encompasses both residential and commercial work: boutique hotels, corporate offices, restaurants, high end residences and multi-unit lofts. As our portfolio confirms, we focus less on a particular “look,” but on the mission to bring client-centric, sustainable, functional and aesthetically pleasing design solutions to each unique project, thereby elevating the health, happiness and harmony of the interior environments we touch. At KTID, we create interior space, from whole-scale gut renovations and additions to furniture planning, decor and design. We are able to provide all the services necessary to build our projects, from construction documentation and specifications to material, lighting and furniture selections. We pride ourselves on listening carefully to our clients’ needs and desires and delivering thoughtful, innovative responses to better their everyday lives. Since humans spend 90% of our time indoors, KTID considers not only indoor air quality, but indoor environmental quality—acoustics, daylighting, thermal comfort—during our design process. We understand the power of a successful interior to impact living, learning, working, health and happiness.